At The Whole Sale Candy Shop, we take pride in bringing you the best brands available; helping to make your festival, benefit dance, or movie showing a profitable success. On this page, you'll find all the Hershey's products you'll need to give your sales a boost or satisfy your sweet tooth without breaking the bank. Not only do we sell Hershey’s Kisses in bulk, but we also sell Hershey candy bars and Hershey miniatures at a fraction of the price of retailers. Our selection also includes other types of Hershey products, including favorites such as licorice and Jolly Ranchers. From Hershey Kisses bulk packages to individually wrapped Reece’s Peanut Butter Cups, you are sure to find the right product for your store or event. The next time you need a great source for your wholesale candy needs, turn to The Whole Sale Candy Shop for a quality shopping experience and unparalleled savings. Grown up taste for those that love Hershey's chocolate! Delicious roasted almonds in pure milk chocolate makes this classic chocolate bar even better. Snack size Kit Kat in a 10.78oz bag. Hershey's All Time Greats Mix is the perfect item for any occasion. Includes fun sized candy bars of everyone's favorite Hershey's brand candies! 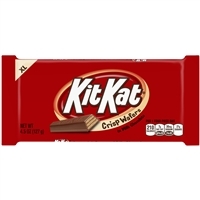 Fun sized candy bars included are: Kit Kats, Whoppers, Reese's Peanut Butter Cups, Hershey's Milk Chocolate Bars. Mouthwatering strawberry flavored licorice twists. 105 individually wrapped Twizzlers. A great low-fat snack! Did you know that it takes up to 15 hours to make one Twizzler?!?! Jolly Rancher Pops are bursting with the same bold fruit flavor as the hard candies you love. Assorted flavors. 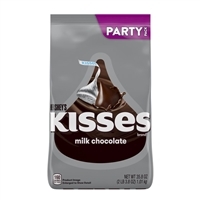 Hershey Kisses in a "Party Bag" size. Great for the office, birthday parties and holidays! Hershey Miniatures in a "Party Bag" size. Great for the office, birthday parties and holidays! Bite size Reese's Peanut Butter Cup and Kit Kat in a "Party Bag" size. Great for the office, birthday parties and holidays! Try this unique combination of caramel, peanut and almond nougat covered with delicious white fudge. Jolly Rancher Gummi candy in a theater size box. Bold Fruit Flavors of Watermelon, Apple, Cherry and Blue Raspberry. Nutrageous is made with chocolate and loaded with crunchy roasted peanuts, smooth rich caramel and the distinctive taste of Reese's peanut butter.